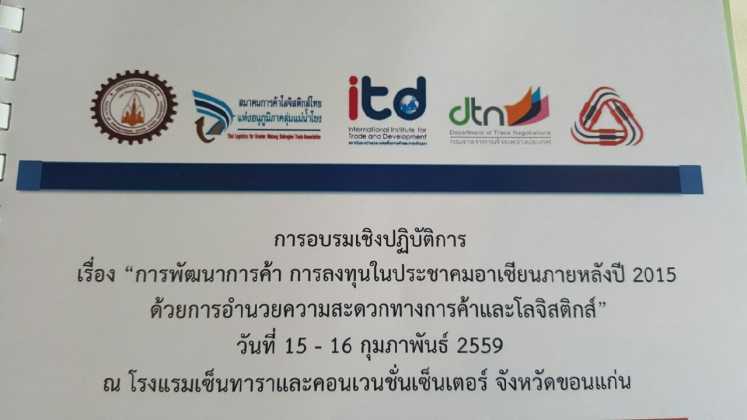 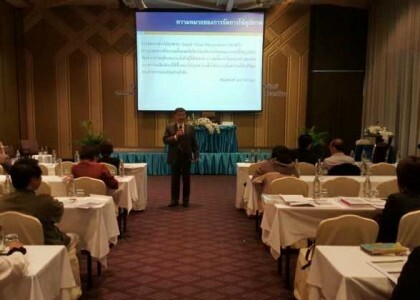 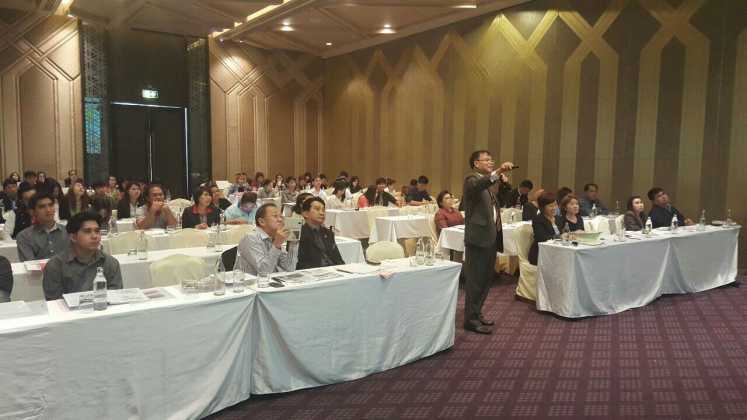 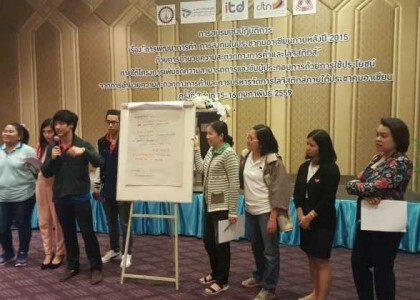 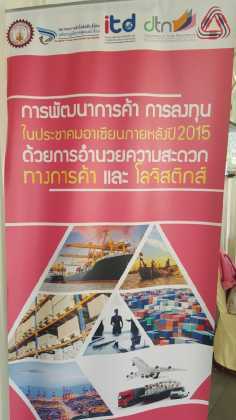 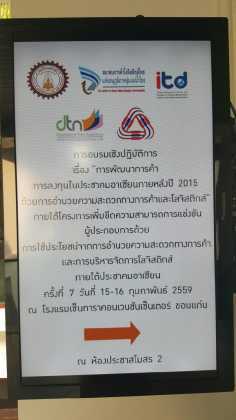 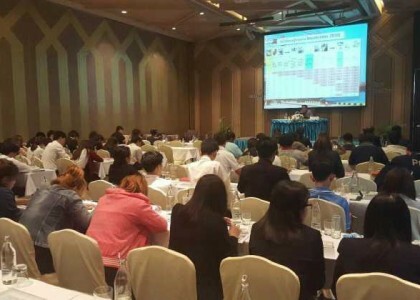 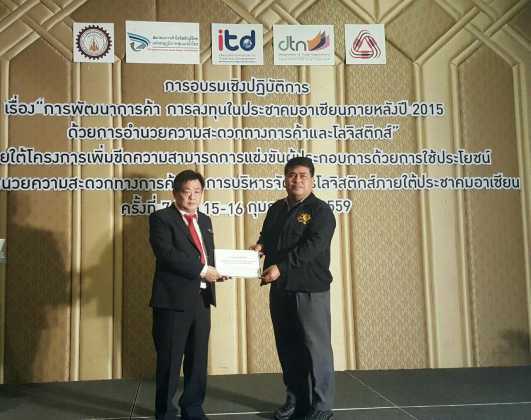 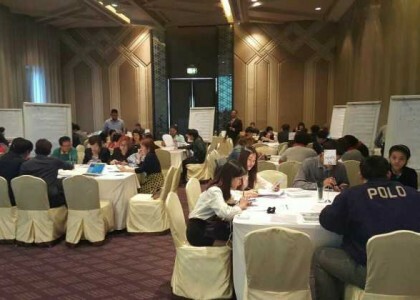 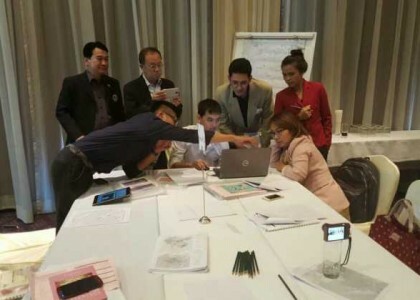 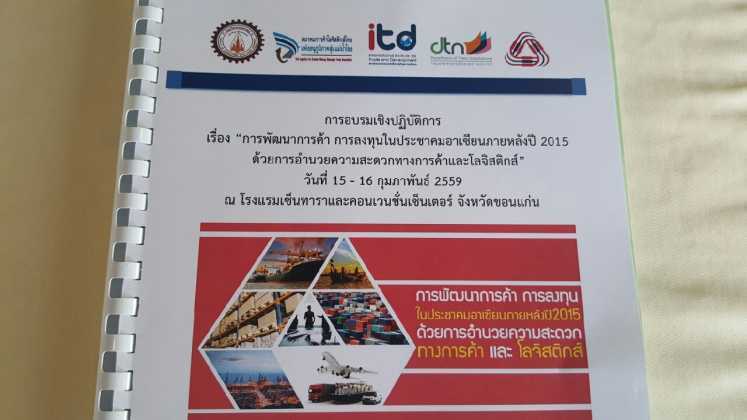 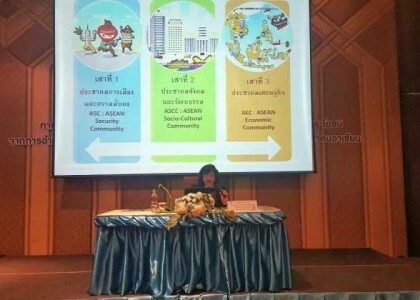 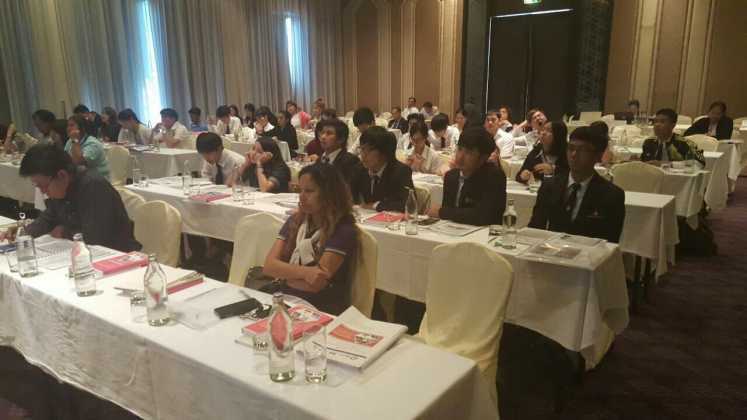 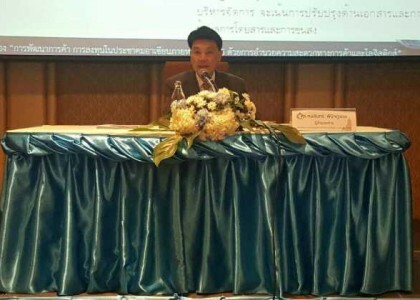 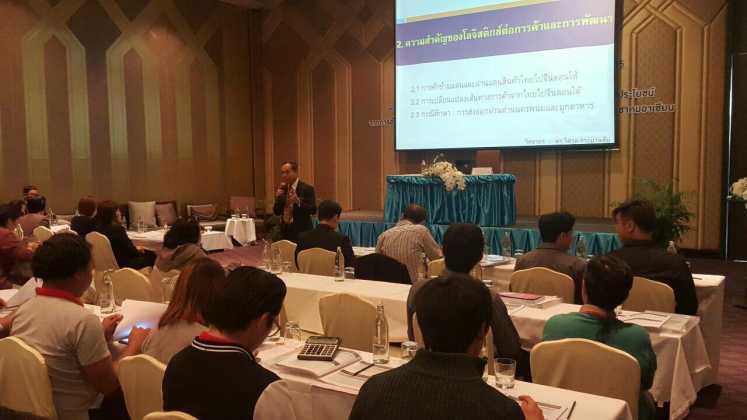 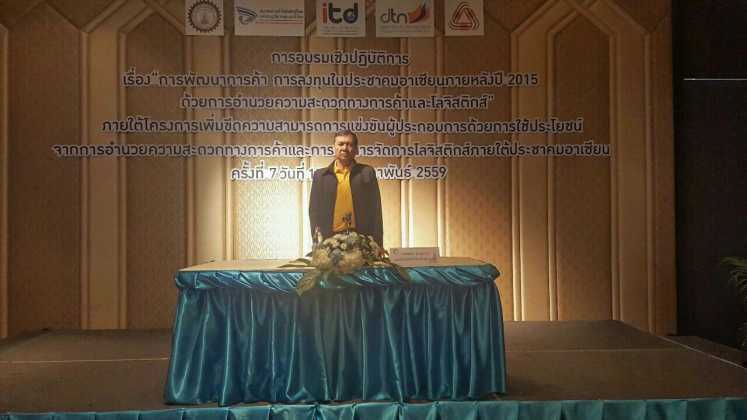 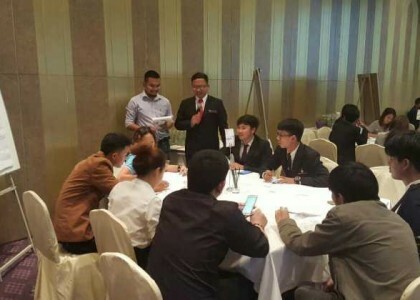 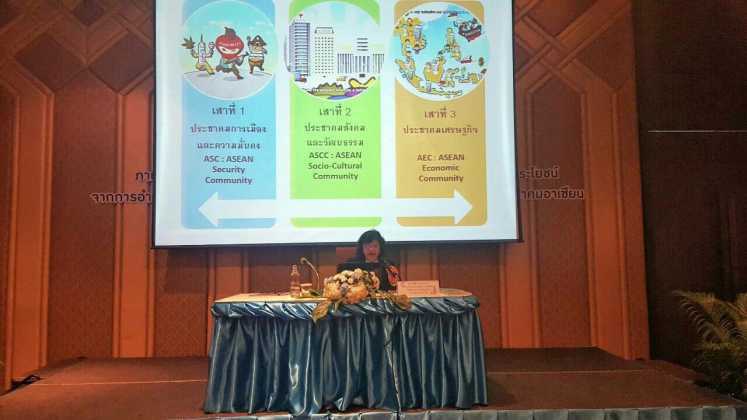 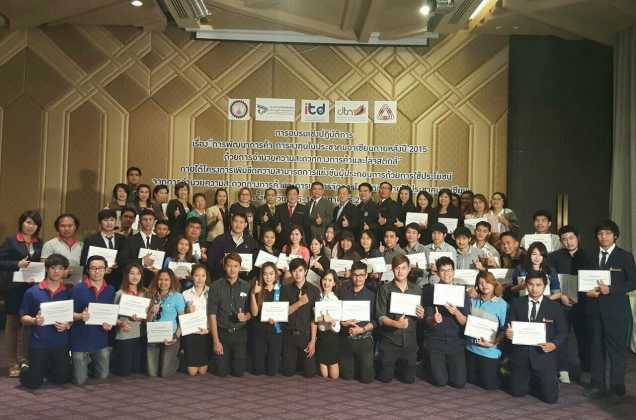 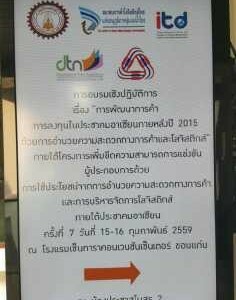 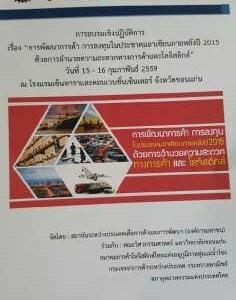 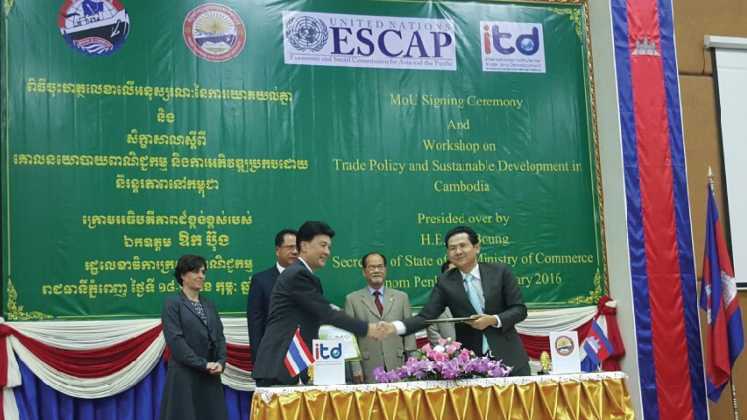 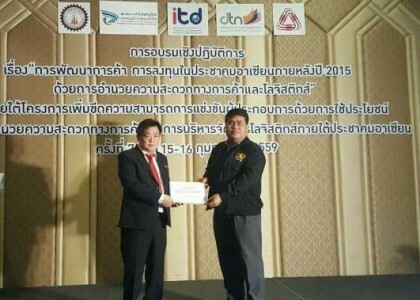 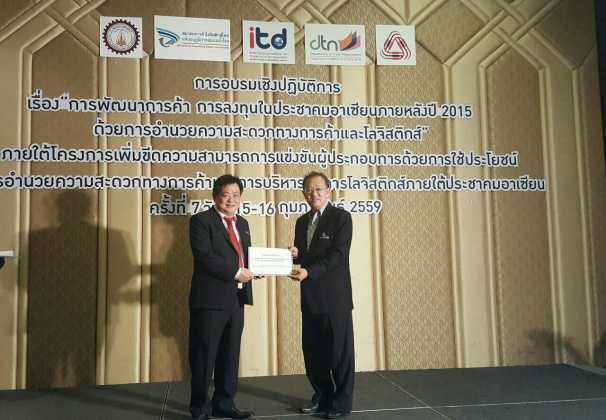 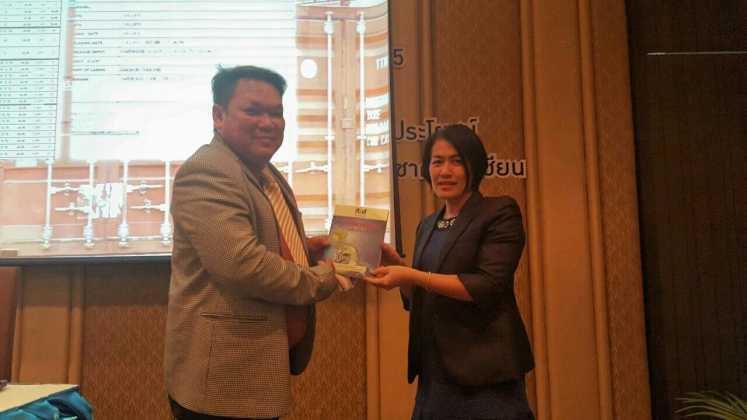 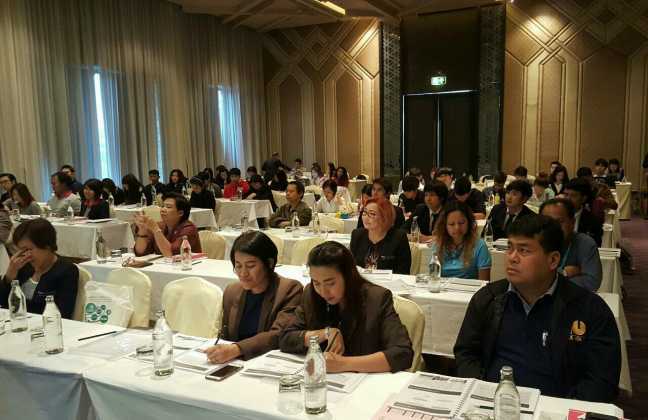 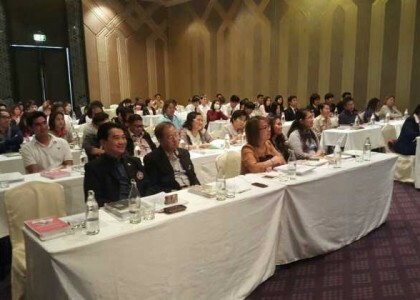 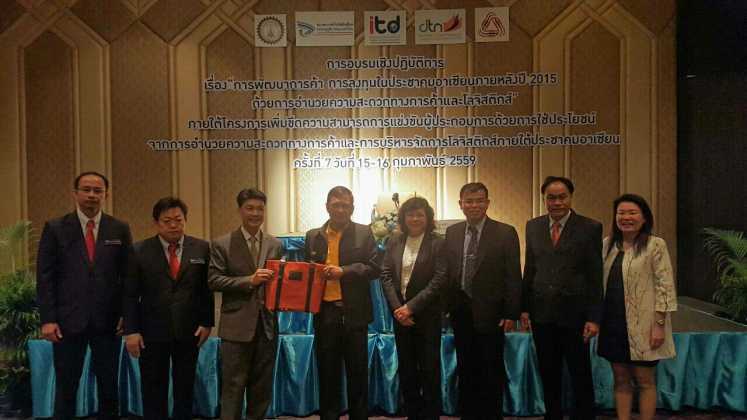 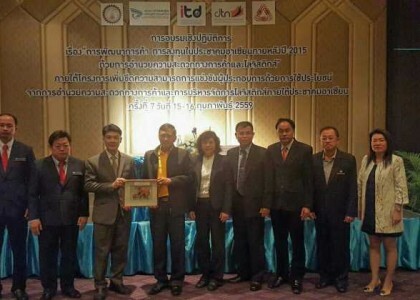 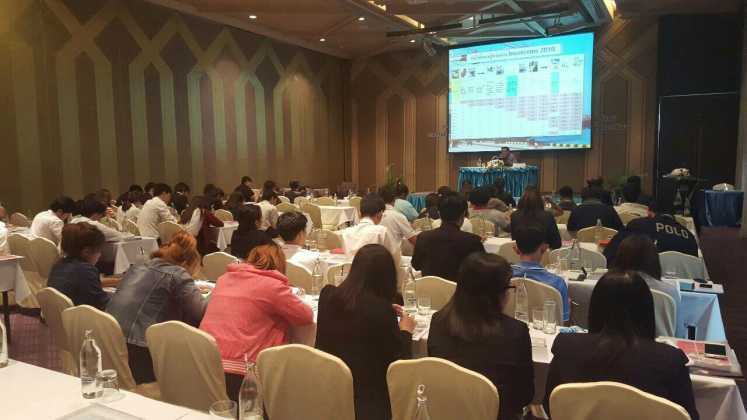 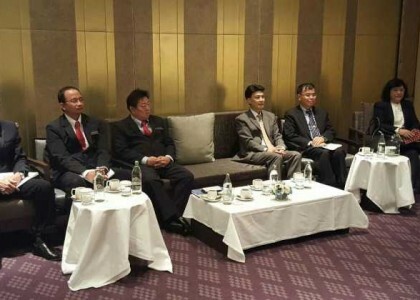 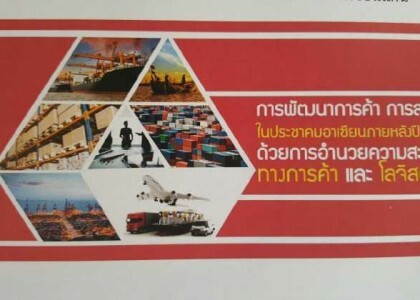 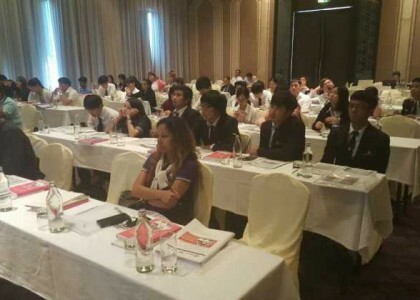 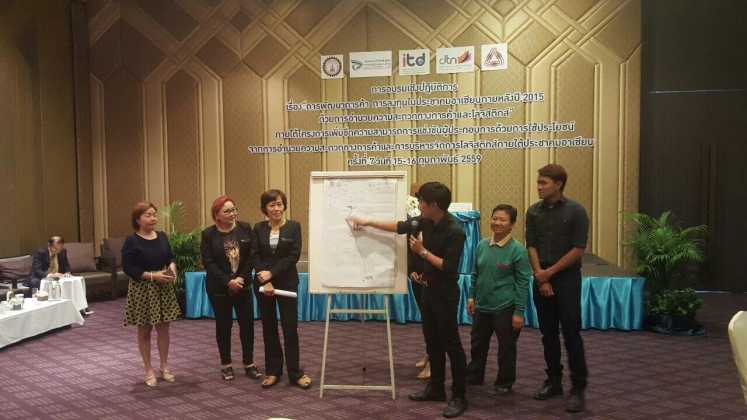 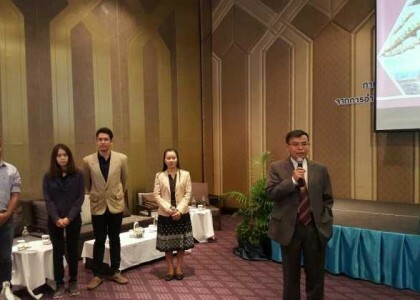 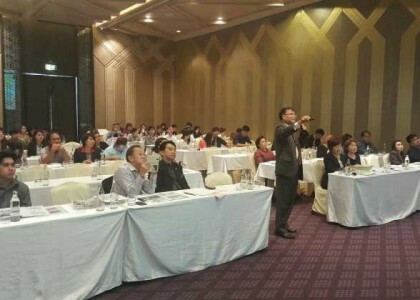 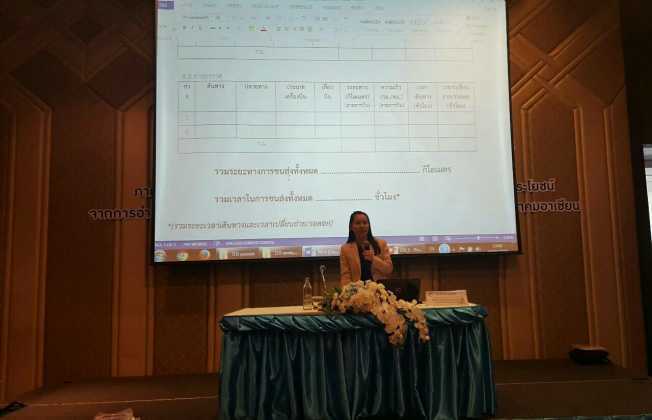 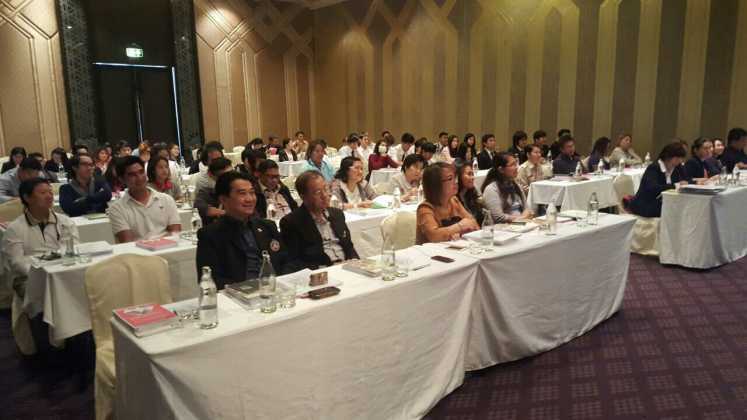 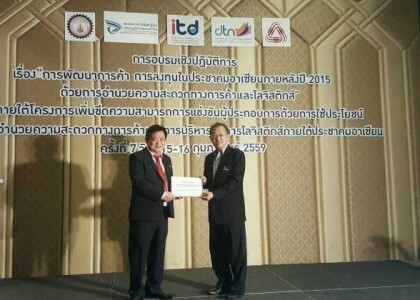 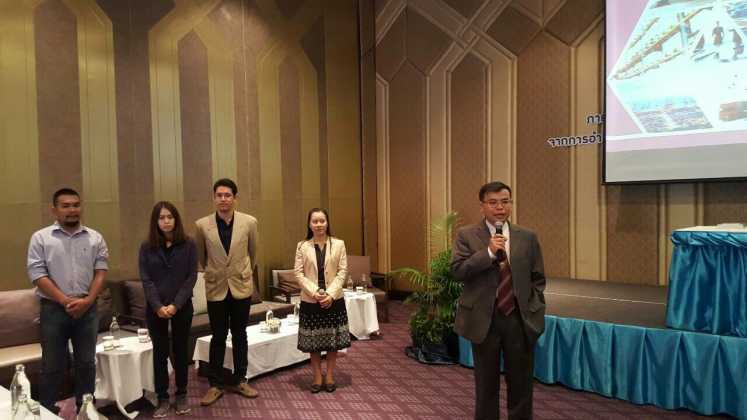 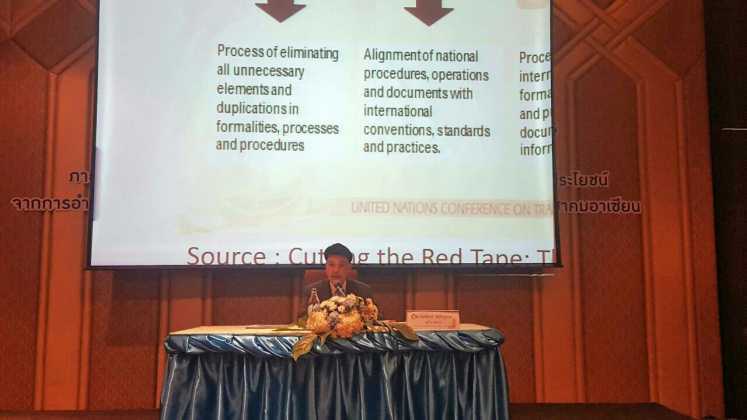 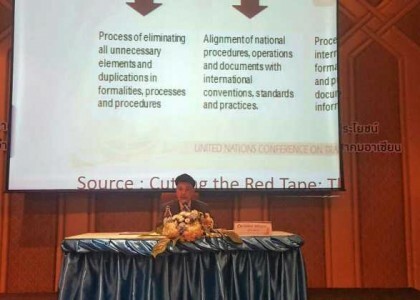 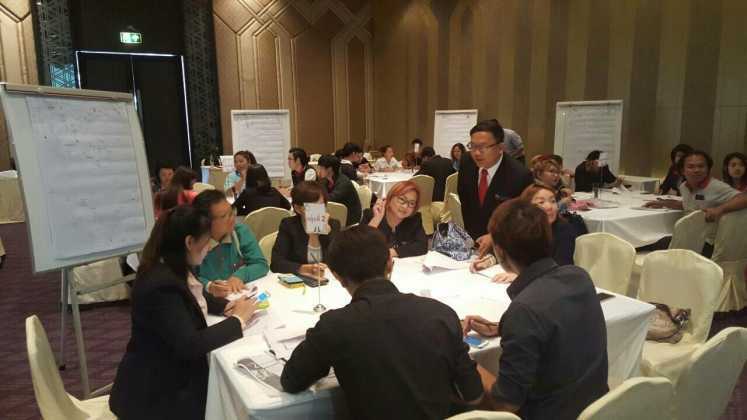 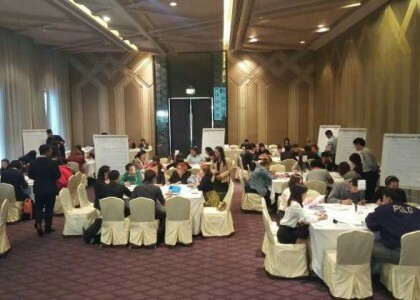 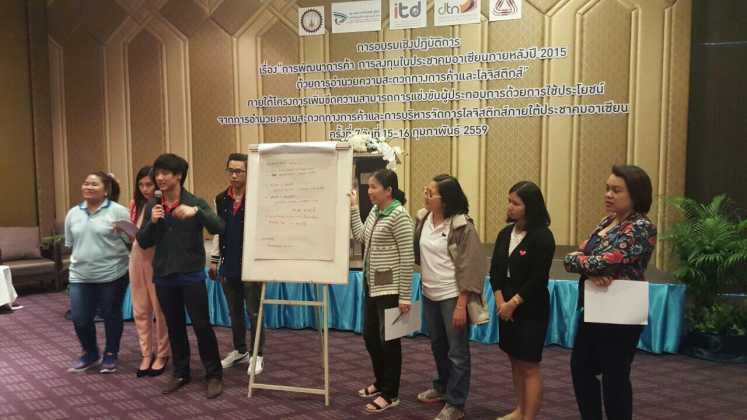 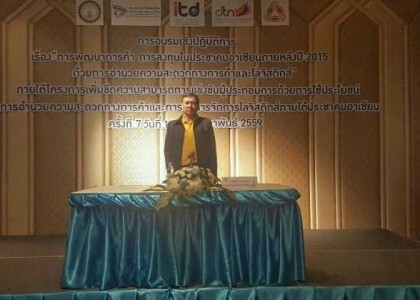 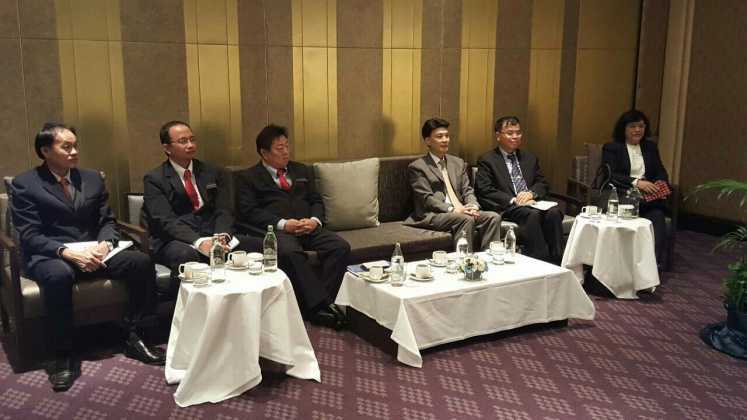 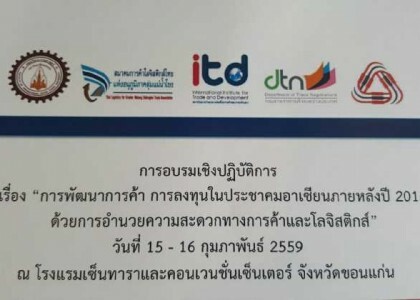 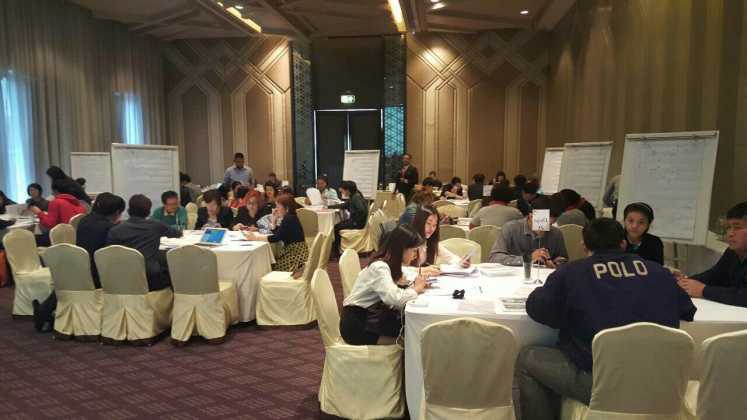 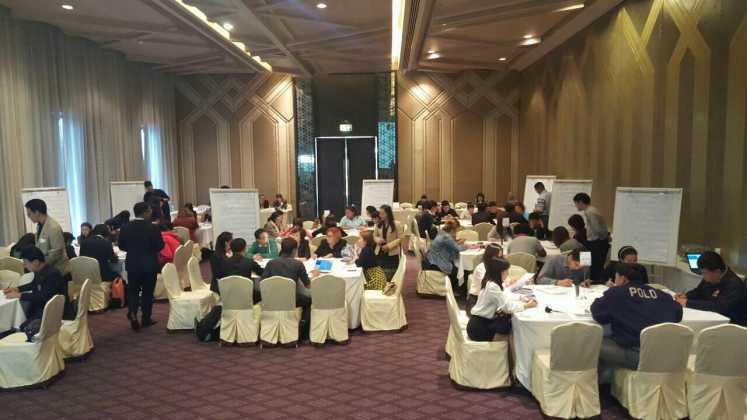 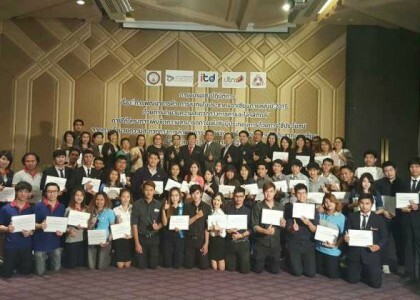 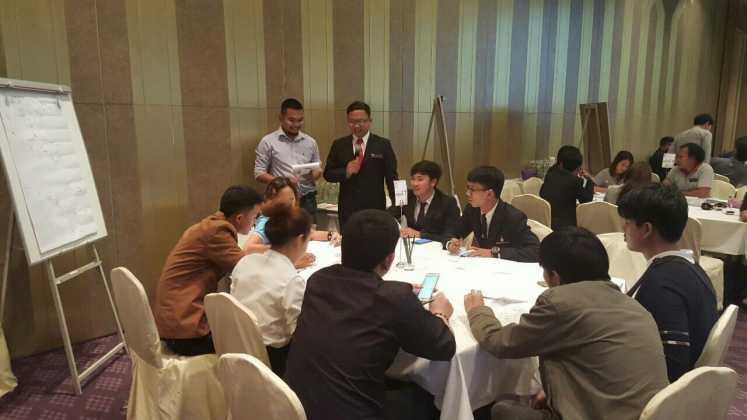 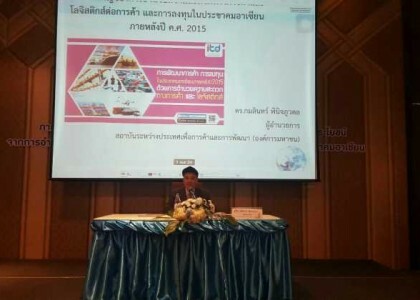 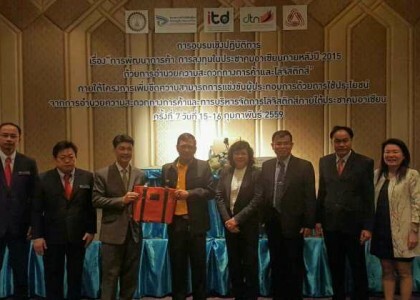 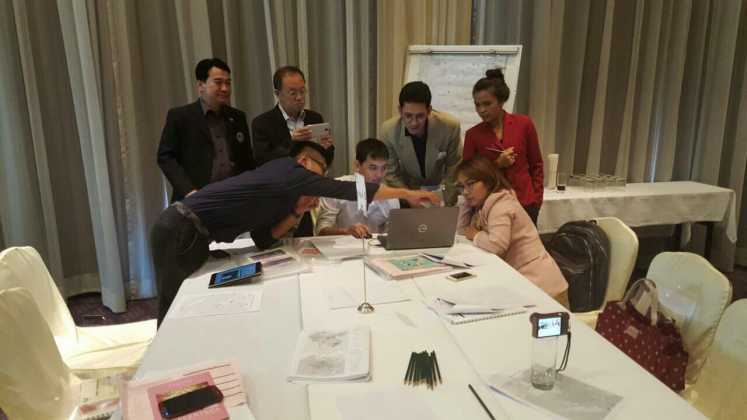 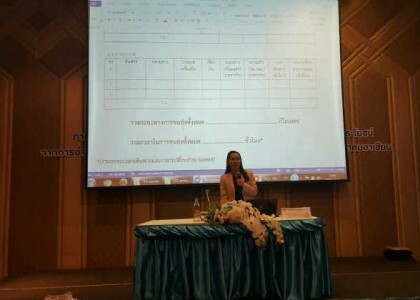 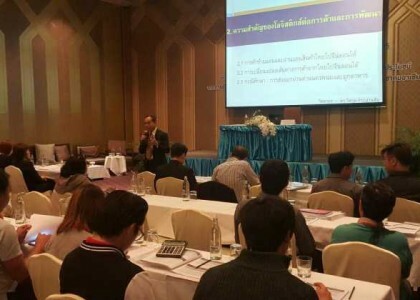 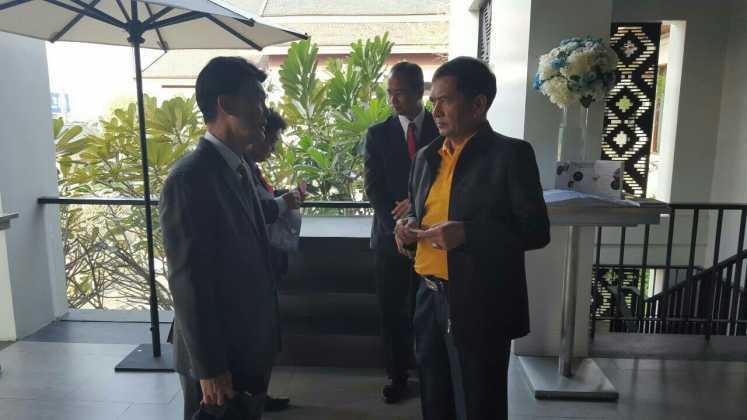 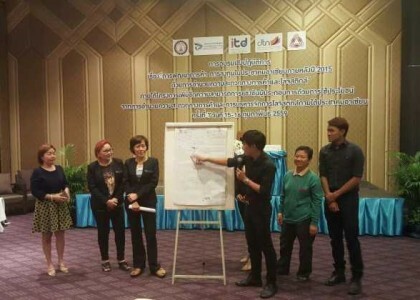 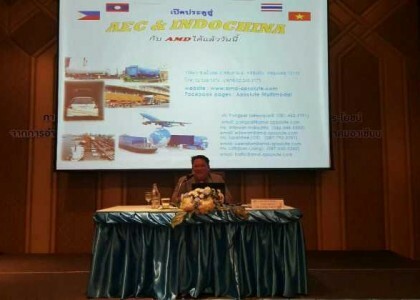 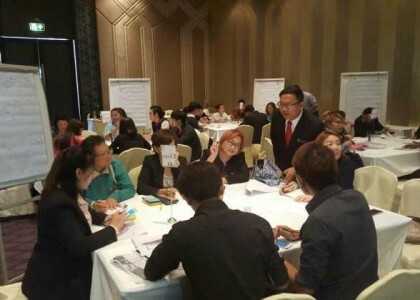 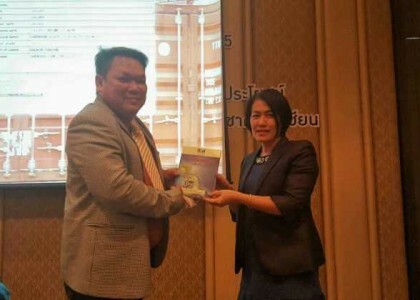 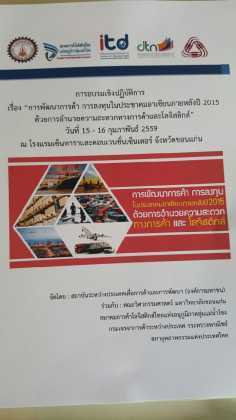 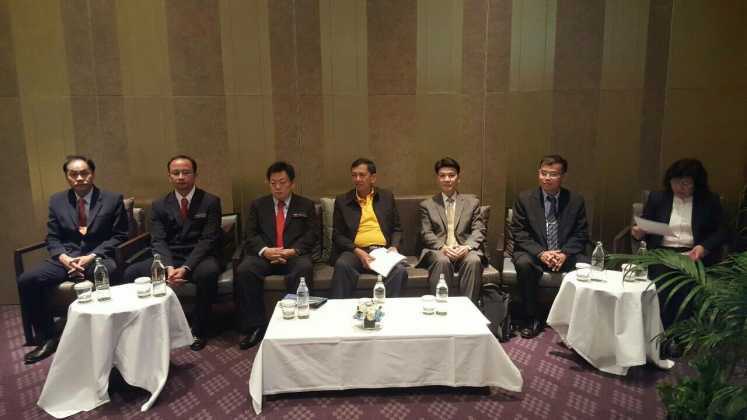 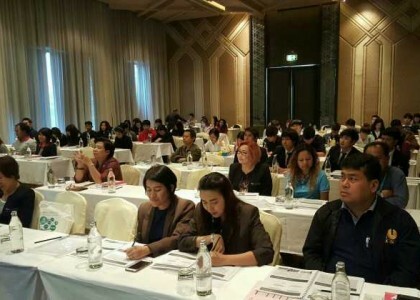 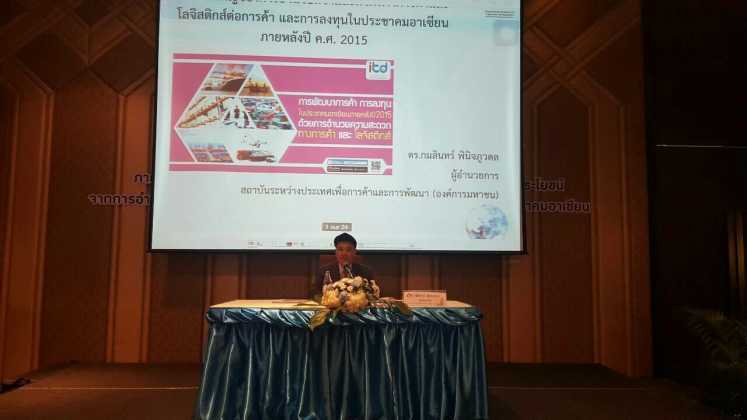 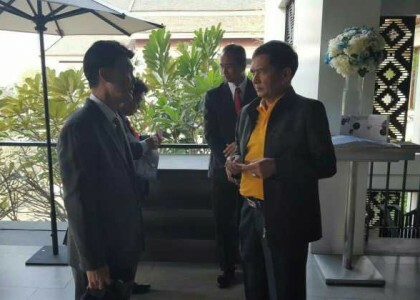 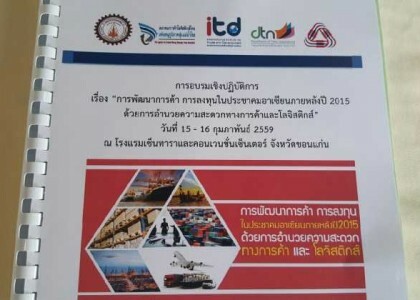 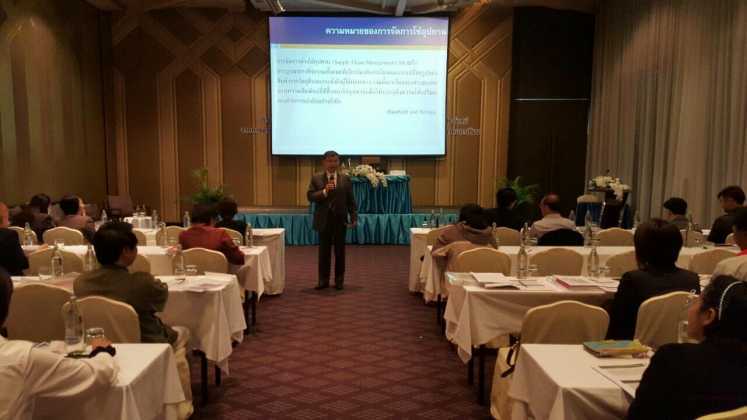 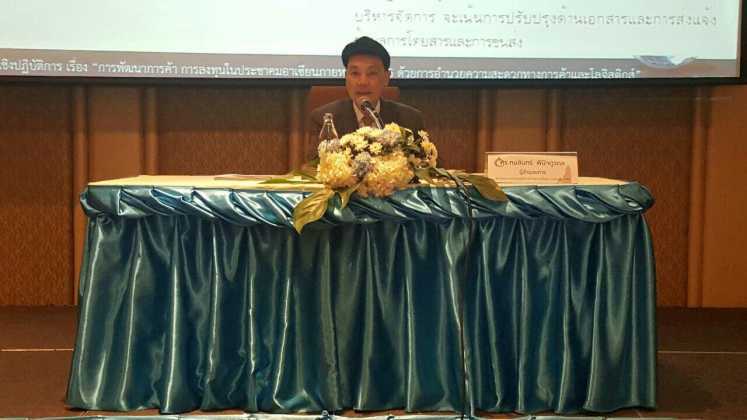 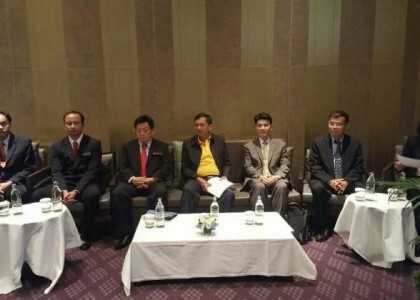 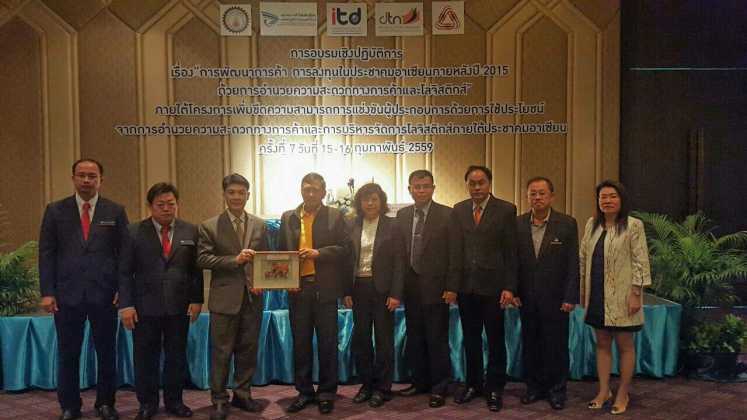 The office of Knowledge Management ITD cooperates with Khon Kaen University by Khon Kaen University by Engineering Faculty and Thai Trade and Logistics Association of Mekong Sub-region and concerned institutes arrange practical seminar “the development of trade and investment in ASEAN community after 2015 by facilitating trade and logistics during 15 – 16 February 2016 at Centara Hotel and Convention Center Khon Kaen. 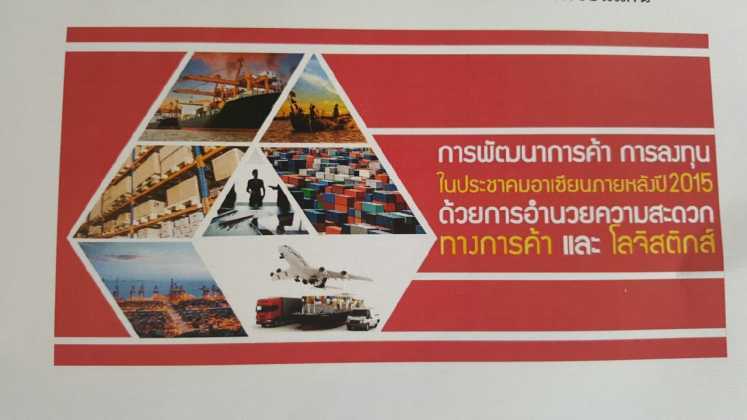 The purpose aims to encourage the participants to bring the knowledge and guidance which they receive about the facilitating trade, logistics management and assurance to apply efficiently. 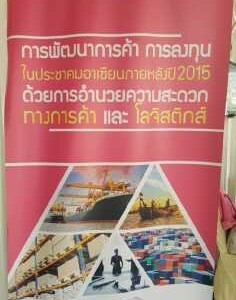 This makes good effect on developing ability of national competition and has a good effect on the growth of economic. 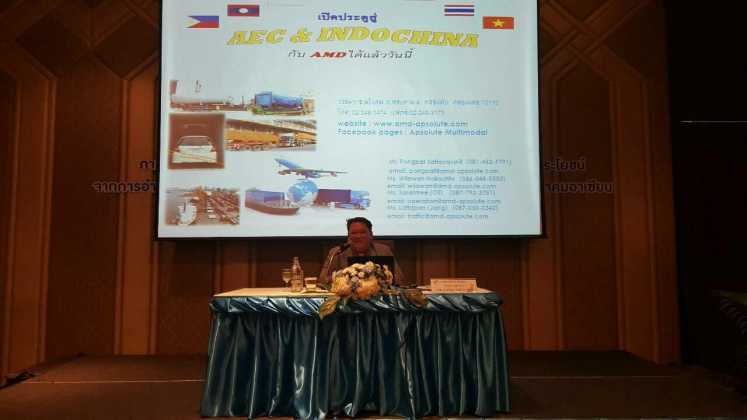 Khun Sirirat Choom-uprakarn, a vice- governor, opens the practical seminar and Dr. Kamalin Pinichphuwadol, director of ITD describes the topic “Facilitating trade and logistics in order for sustainable development” and Khun Veerachai Sriprasert, a president of Thai Trade and Logistics Association of Mekong Sub-region, gives the certificates to the participants who pass the practical seminar.